We are pleased to introduce ourselves as an ISO 9001:2008 Company and one of the leading “Engineering Group” located in Central India, Nagpur, engaged in the field of Fabrication and Erection of Piping, Equipment and Structural since last 29 years. We have executed numerous Erection and Fabrication of heavy structural, IBR approved Piping, Industrial utility Piping etc. in various organizations.We have executed several prestigious erection jobs at various sites including New Urea Prilling Tower Project at Fertilizers and Chemicals Travancore Ltd., Cochin division. We have executed several prestigious erection jobs at various sites including New Urea Prilling Tower Project at Fertilizers and Chemicals Travancore Ltd., Cochin division. This job was carried out through the consultant M/s. Project and Development India Ltd. and the value of the order was Rs.1.63 Crores. Further, we have carried out another critical job of Erecting NITRO GLYCERIN Plant at Ordnance Factory Bhandara through their consultant M/s Larsen & Toubro Ltd. We have also successfully carried out Mechanical, Electrical and Instrumentation Erection works for LTPE Project at Bhandara Ordnance Factory and Effluent Treatment Plant of Fertilizer Project at Neyveli through their Consultant M/s. Project & Development India Ltd., Apart from these, we are regularly executing various types of Fabrication and Erection work at Central India Polyesters Ltd., Mouda, M/s Indo Rama Synthetics (India) Ltd., Butibori, M/s Morarjee Breambana Ltd., Butibori, Ballarpur Industries Ltd. , Ballarsha , Ballarpur Industries Ltd. Unit Ashti, Ballarpur Industries Ltd. Unit Sewa, Ballarpur Industries Ltd. Unit Sree Gopal, Yamunanagar. We have erected 20.5 TPH Cithar Vessel Ltd. Boiler for Madyadesh Papers, 70TPH Cithar Vessel Ltd. Make 2 Boilers at Maratha Cements, 40 TPH BHEL Make 2 Boilers at ACC Chandrapur, 80TPH Cithar Make Boiler at Murli Agro, Mouda & Uprating Cithar Make Boiler 15 TPH to 29 TPH at BILT, Unit –Ashti and 105TPH Boiler at Gallantt Metals Ltd., Samakhayli, Gujrat. We have completed the Uprating of Milling System of Unit-1 Panipat T.P.S. and Annual Overhauling of WHRB 2, 3 & 4 of NTPC Dadrai Gas Plant. 1. Erection, Testing & Commissioning of E&I works including H.T&L.T Transformers for L.T.P.E project of Bhandara Ordnance Factory in the year 1994-95. 2. E & I works for Effluent Treatment plant of Neyveli Fertilizer project in the year 1995-96. Both the above works were carried out under the supervision of Consultants M/S P.D.I.L. 3. Erection, Testing and commissioning of E&I works for Nitro Glycerin Plant at Bhandra Ordnance Factory under the supervision of consultant M/S L&T. Ltd.
We have also carrying out Maintenance of Thermal Plant, Chemical Industries, Paper Industries, Cement Industries etc. Our team engaged in routine maintenance of Coal Mills, Fans, Air Heaters etc. at Koradi, Khaperkheda, Paras, Bhusawal & Nasik Thermal Power Stations of M.S.P.G.C.L. We are undertaking Boiler overhauling through BHEL, Alstom Power & Directly from NTPC and other State Electricity Board. We are having specialized team for Rotary Equipments Overhauling & Maintenance. We are one of the main Contractors with M.S.P.G.C.L., M.P.E.B., CSEB, BESCL, BHEL & NTPC in the field of Regular overhauling & maintenance and also are engaged in Annual Maintenance Contracts for Ash Handling Plant, Coal Handling Plant, Pulverizing Coal Mills, Electro-static Precipitators etc. We have also carried out modification and Renovation works including RLA at Paras Thermal Power Station of M.S.P.G.C.L. 62.5 MW. We have our own unit of Non Destructive Testing Facility comprising of Industrial Radiography, Ultrasonic Flaw Detectors, Stress Relieving Equipments and allied accessories. This unit is being Handled by competent personnel. 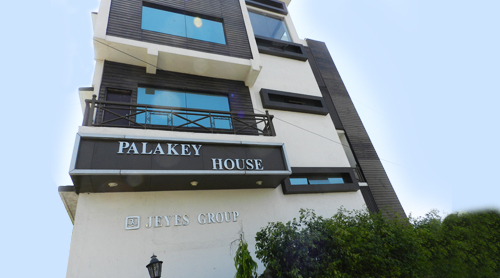 The JEYES GROUP have established good reputation for quality works and timely completion as per requirement of the clients. Considering above, the Company was awarded “ THE ARCH OF EUROPE GOLD STAR AWARDE FOR INTERNATIONAL QUALITY” for the year of 1991 sponsored by Mr.J.Ban, Madrid, Spain. We have valid Registration and License for High Pressure Boiler Repairs, Large scale Steam Pipe Fabrication under Indian Boiler Regulation Act. 1950 for Maharashtra and Madhya Pradesh. Presently Our Group is executing Erection and Maintenance works at following Organizations. All M.S.P.G.C.L. Thermal Power Station’s like Bhusawal, Paras, Nasik, Koradi, Khaperkheda etc. 3. Gallantt Metal Ltd., Gujarat. 5. Torrents Power Ltd, Sabarmati, Gujarat. Besides, we are in the approved list of many Engineering Organizations. The list of which is enclosed in the Annexure.